This is an absolute gift in the run-up to Christmas (see what I did there?) because it can be whizzed it up in advance, wrapped and frozen. Then hey presto, you can magic up a quick starter or light lunch when you’re busy doing other things. It’s fairly economical, too, smoked mackerel being as cheap as chips. Halving the quantities I give here will still provide a very generous pot of pâté. The original recipe came from the ever-reliable Katie Stewart and it’s one of my standbys because it’s always so popular. It’s good with crusty bread and a pile of salad leaves for a quick lunch, or with melba toast or rye crackers as an appetiser. Spread onto smaller squares of toast or biscuits, or packed into lengths of celery (very ’70s retro) it makes an equally good canape. Versatile or what? Skin the mackerel and flake the fish. Cube the butter. If you have a food processor, add the fish to the jug along with 100g of the butter and all the cream cheese, lemon juice and tomato puree. Whizz until blended but try to keep a little texture. Taste and add salt and pepper as required. If you’re working by hand, flake the fish as before, then in a separate bowl cream 100g of the butter with the cream cheese. Mix in the fish and remaining ingredients (except the reserved butter) and season to taste. Scrape into serving pots and level to a little below the top. Melt the remaining butter in a saucepan (you may need a bit more, depending on the number and size of your pots) and if you can be bothered, clarify it by pouring the melted butter into a jug, leaving the milky solids behind in the pan. It doesn’t really matter if you don’t clarify it, if you’re pushed for time. 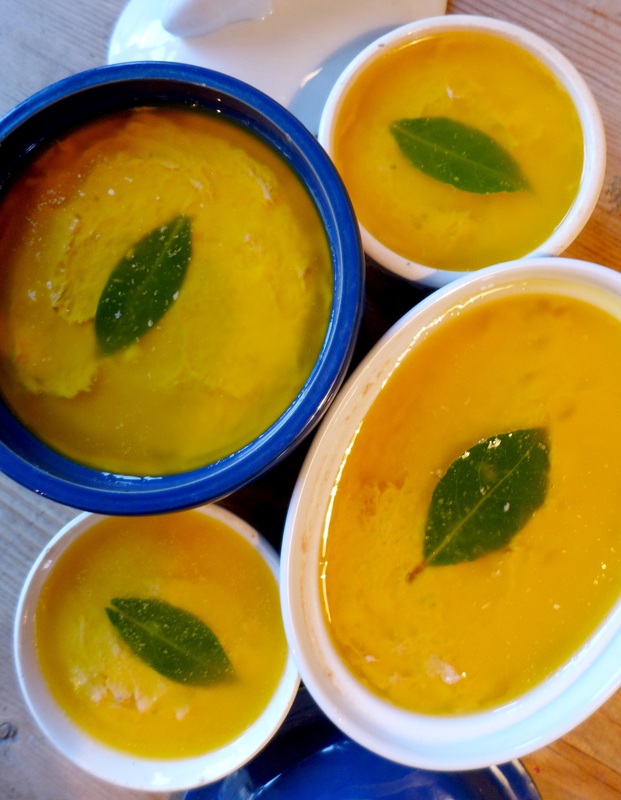 Gently press a bay leaf into the top of each pot of pate, then pour over the butter. Chill for at least three hours before eating. It’ll keep in the fridge, once sealed, for up to five days. Alternatively, wrap it well and freeze it for up to six weeks. 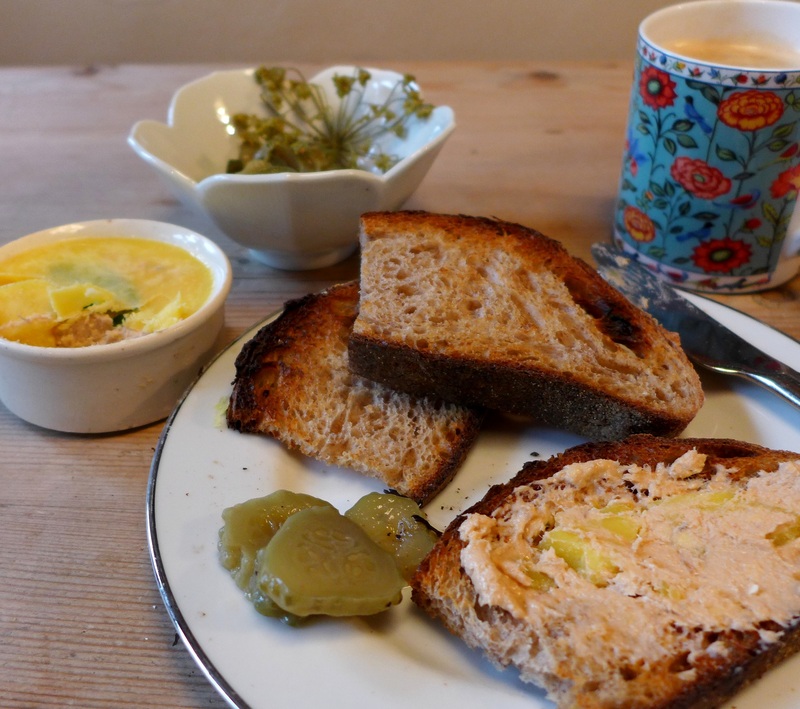 This entry was posted in Fish and shellfish, Soups, starters and canapes and tagged Christmas starters, easy smoked mackerel pate, get ahead food, holiday entertaining, light lunches, New Year starters by Linda Duffin. Bookmark the permalink. Thanks, Sandra. I think they’re often under-rated simply because they’re so cheap. But as you know, they’re packed with flavour. 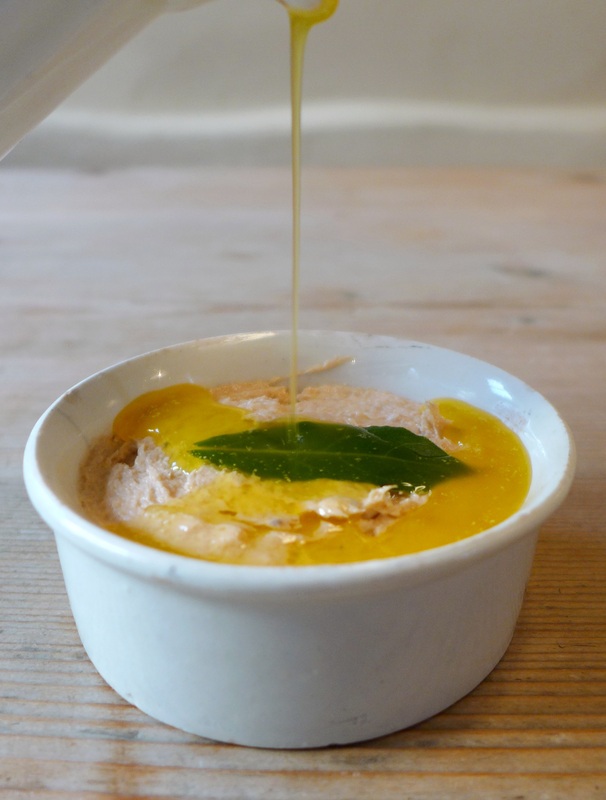 Love smoked mackerel and like the recipe. Somehow never thought about the convenient freezing issue. Was taken aback by the amount of butter at first as I barely use any, but half of it is to seal the ramekins . . . 🙂 ! Linda, smoked mackerel is very popular over this way. We usually serve it with wet scrambled eggs. 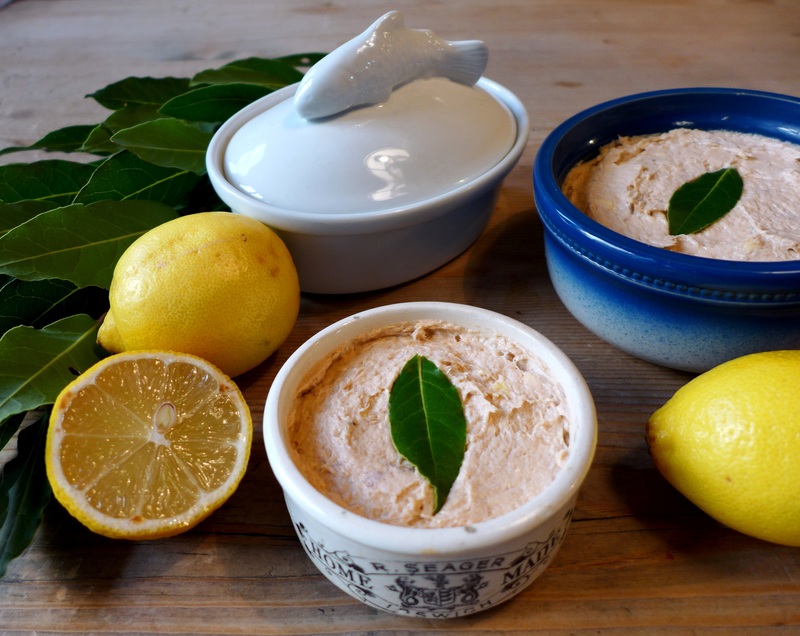 So, taking a smoked fish that we love and putting it in a party-pleasing pâté will be very well received by our holiday guest. Would you know about how much weight of mackerel the recipe takes? Our smoked mackerel weight about .5 kg as a rule. Mine were fillets which weighed about 350g before skinning, Ron. Hope this helps and hope you enjoy it if you make it. Regards, Linda. That’s 350g altogether, not each! Thanks, Linda. We’ll be making this for our Julbord at Christmas.